This month's Paper Pumpkin kit is gorgeous!!! I pulled it out last night and couldn't stop creating! 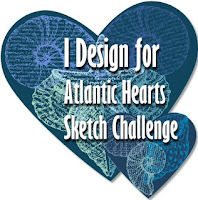 All the supplies come in the kits to make your cards, I just change it up sometime!! 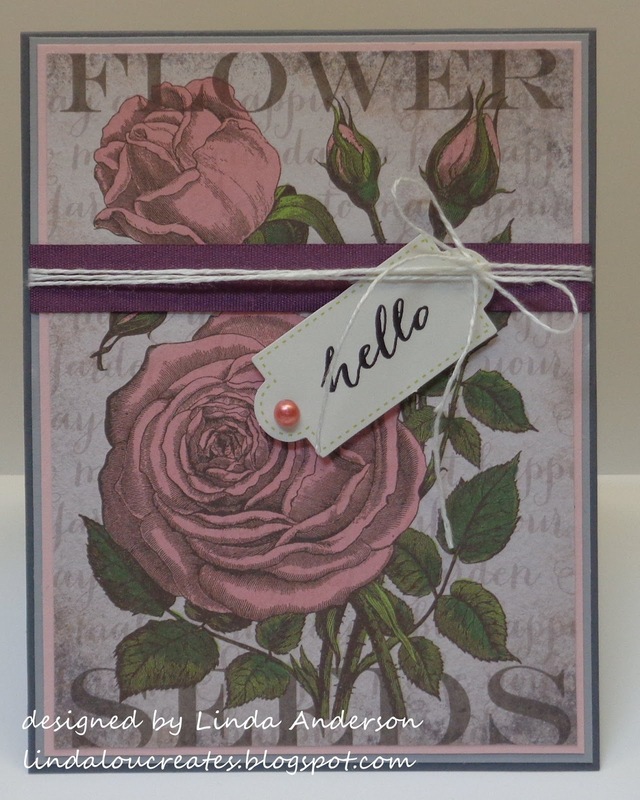 Like this gorgeous flower seeds piece is actually 4 of the 8 included envelopes that I cut up to make 4 cards. 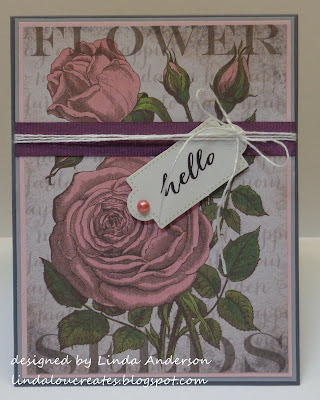 Also included in the kit was the tag (stamped with the kit's stamp set), the fresh fig ribbon and white twine. I added the pearl on the sentiment tag that I colored with a Stampin' Blend. 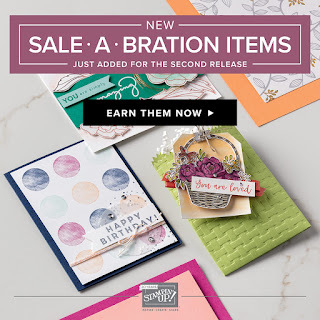 Now's the perfect time to get started with your own subscription to Paper Pumpkin, Stampin' Up's all-inclusive papercrafting subscription program. New subscribers who sign up by May 10th will receive 50% off their first 2 months!!!!! Just go to paperpumpkin.com and enter code SAVEFIFTY0418 at checkout. Deadline to sign up for this offer is May 10 and does not apply to prepaid codes. 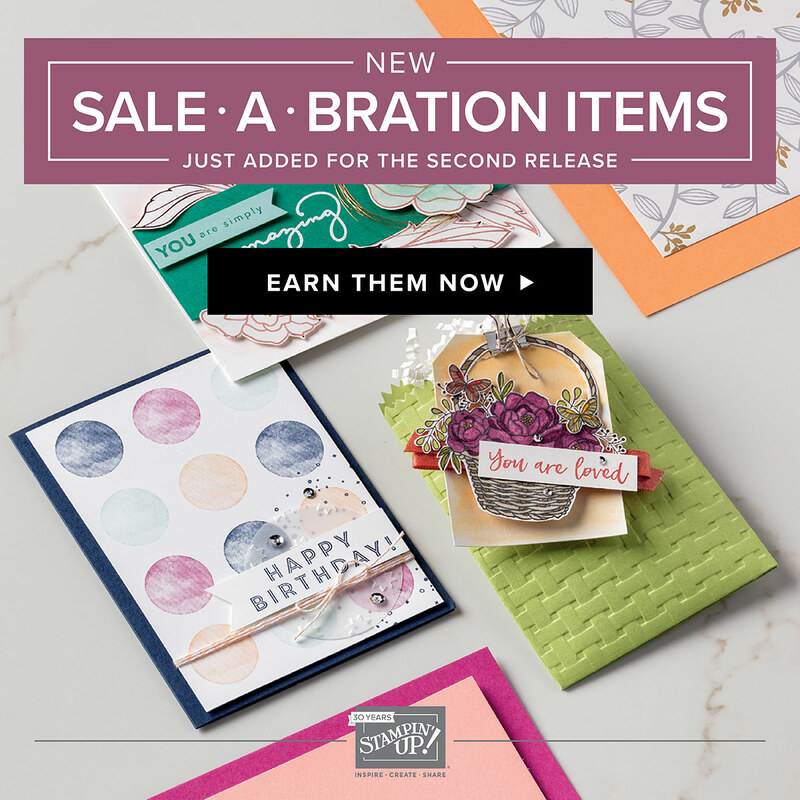 This is the last week to take advantage of Sale-a-bration. If you're interested in free product with a qualifying order, then check out my website. 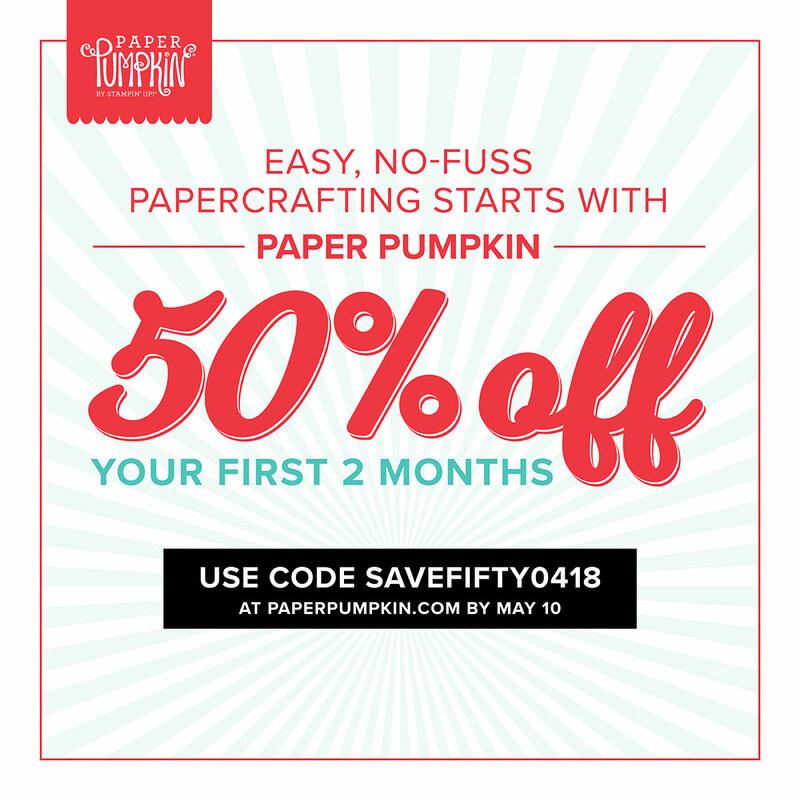 A 3 month prepaid subscription to Paper Pumpkin is a perfect way to earn free product along with 3 fun months of your own Paper Pumpkin kits. The 50% of special mentioned above does not apply to this prepaid subscription. Either way, you win!!! Let me know if you have any questions, I'd be happy to help.